ALL THE NEWS THAT'S FIT TO TYPE! 2007.08.11 The United Federation of Planets, Internationale, has finally published their fanzine, Intergalactic Viewscreen 2007 and this contains One Moment in Time, re-written for the Confederation Universe. This zine isn't available to the public,k just to UFPI members. However, the formatting is totally gone so it may be difficult to realize that part of the story is a flashback. I might just have to publish the story as it should be read myself. 2007.02.18 After another seriously long hiatus, I've sold His Small Sacrifice to:. I've also contributed one story to the UFPI zine, but I don't know the status of when the zine will come out yet (read next entry). 2006.all.year Working hard as a Customer Service Agent / Resolution Specialist for Cingular/AT&T! 2005.11.17 After a long hiatus, I'm back to writing part time. Started sending out stories again. 2004.12.27 Much to my surprise, I found out that the article I'd written way back when was actually published: Red, White, and Blog. Enjoy! 2004.08.14 It's been a long time since an update. I was busy studying for computer certifications (got my A+ in February) and am working on Network+. Working on more left brain stuff leaves my right brain not wanting to think about fiction. My blog is called Serenade in Blue. Check it out! 2003.08.19 A copy of my essay, "Never Give Up! Never Surrender!" detailing how the story, "The Secret Life of Machiavelli Argent", was finally published, is now available here. It was originally published in the STARFLEET Communiqué #118 and is reprinted here by permission. 2003.08.02 At the annual conference in August, I donated a hard copy of "The Secret Life of Machiavelli Argent" along with a work in progress copy of the sequel, "A Cat Without Pity" to benefit the STARFLEET: The International Star Trek Fan Association, Inc.'s Scholarship Fund. The autographed manuscript sold for $35.00. 2003.06.05 Woo-hoo! I sold "The Secret Life of Machiavelli Argent" to EOTU Ezine of Fiction, Art & Poetry. It appeared in the June 2003 issue. 2003.05.01 It's been a while since any updates, so here goes. An essay I wrote for Gregg Crockett a while back is finally available. The essay is about the Cascadia region of the Western US and it is now linked on the chapter of STARFLEET International, the USS Cascadia's Web Site. 2002.11.05 After sending a query, I now have an assignment to write an article about Speculative Romance Fiction for the webzine, Shades of Romance! 2002.10.01 "Eternity Road" is now available for viewing in the October 2002 issue of Scifantastic . 2002.09.19 "Eternity Road" will be published in the October issue of Scifantastic . 2002.08.30 The start of a revamping of the Nexus Web Site. 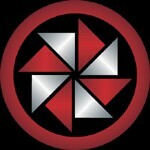 Material from Nexus' SFI days now resides on the USS Jaguar site. 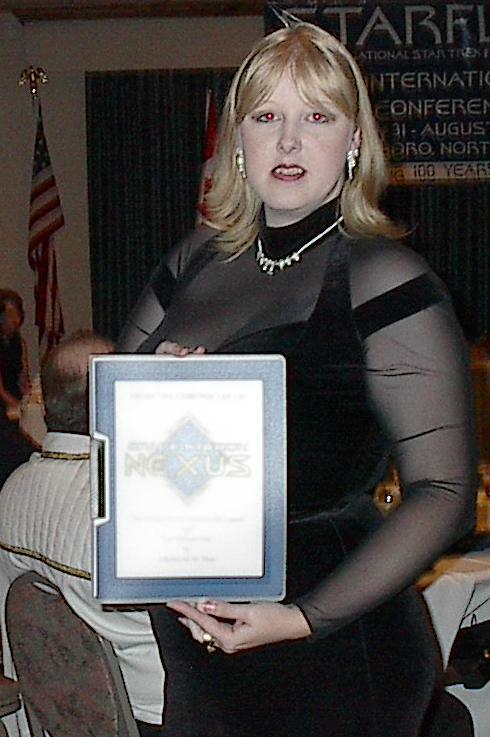 2001.10.20 Space Station Nexus decommissioned as a chapter of STARFLEET International. 1997.08.27 Space Station Nexus commissioned as a chapter of STARFLEET International.